You are here: Home » Blog » Academy ST Registration is Open! Academy ST Registration is Open! Registration for the BCSSA Academy ST series is now open! Academy ST will feature 4 weekend camps across the province. Registration is separate for each camp- if you choose to attend all 4, you only pay for 3! The camps will feature experienced speed skating guest coaches. Club coaches are encouraged to attend (no cost). 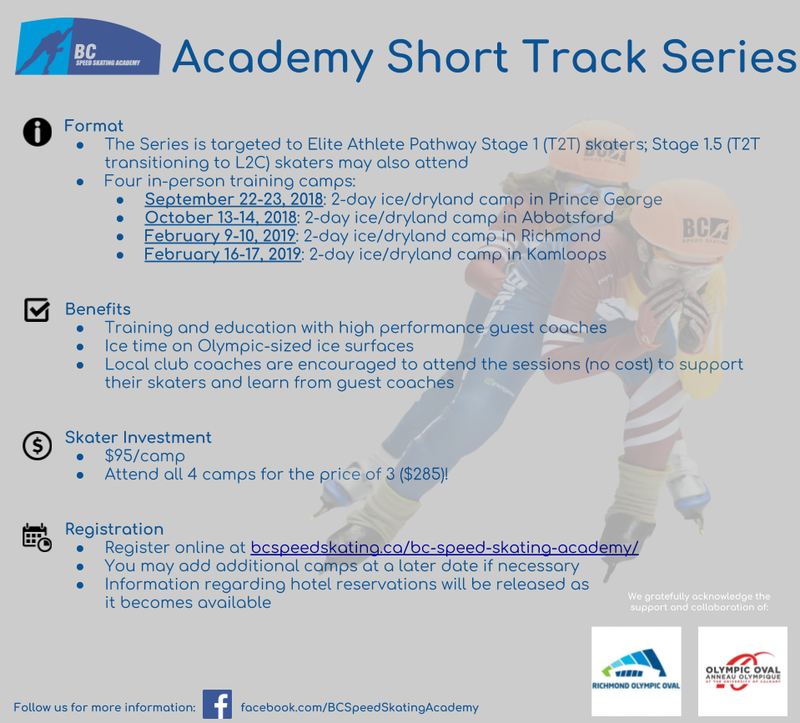 Visit https://www.bcspeedskating.ca/bc-speed-skating-academy/ for registration for Academy ST. Note that Academy LT registration remains open at the same web address. The first Academy LT camp is September 7-9th and will feature an opportunity to interact with the National Team coaches and skaters, who will be in Fort St John for a training camp. Questions should be directed to academy@nullbcspeedskating.ca.